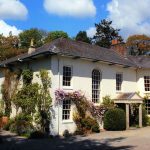 Sandhill House is the perfect country retreat to escape and enjoy exclusive accommodation and relax looking out over the breathtaking Tamar Valley. Set in an Area of Outstanding Natural Beauty and World Heritage Site, this exclusive B&B is an ideal gateway to explore the fantastic natural environment and world changing heritage including Dartmoor National Park. Please see our regularly updated Blog for local events and activities. Bed and Breakfast accommodation in the centre of the village.